We are offering to you a gorgeous single story three bedroom fully air conditioned villa with a private pool located on Highlands Reserve. This beautiful Executive, three-bedroom, two-bathroom villa set alongside the 11th fairway of the prestigious holiday and golfing community of Highlands Reserve is maintained in the highest standards that you would expect for your holiday vacation. Beautifully furnished with many individual touches to create the feeling of a home-from-home. We want you to be comfortable during your stay in our villa. The 24-hour management service eases any worries. The fully-screened and heated, private pool/jacuzzi face west, enjoying sun for the majority of the day as well as the most spectacular sunsets. You can also peek out at the golfer. Located within minutes of Disney, restaurants, shopping malls, and supermarkets. Constructed in 1998 it has quickly become a 'must play' for all golfers offering great golf at affordable prices. The Mike Dasher design winds through old citrus groves and features over 120 ft. of elevation changes with large undulating greens. For current prices and to book tee times please visit the Highlands Reserve website. For the best deal on green fees be sure to mention that you are staying at a home on Highlands Reserve. Wow what a gorgeous place. The owners, Jim and Lil are great to deal with. Our family will come back. Had a wonderful time. House is beautiful. Short drive to all theme parks. Would definitely stay here again. this rental was awsome... perfect in everyway... THANKS for makeing our stay wonderfull!!!!! deffinetly recommend to anyone!!! What a wonderful place to stay while visiting Disney!!! 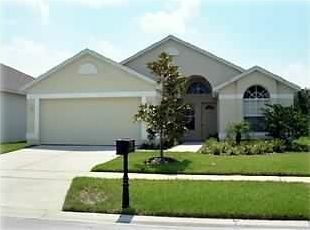 We saved tons of money by staying in this villa.....very peaceful and quiet and away from the noise and high prices around Disney area. Will do again next year. Thanks! !